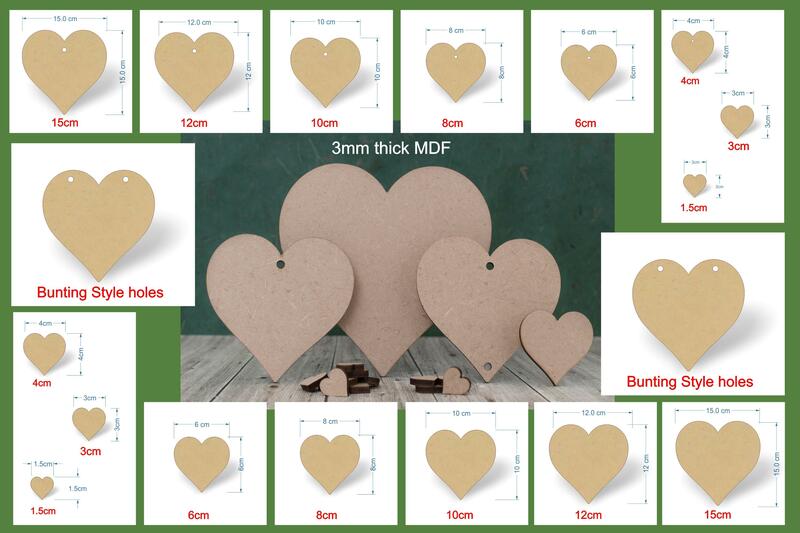 Please use the drop down boxes to make your selection, or contact us if you would like a different size or bulk supplies of these mdf heart shapes. These are our popular mdf heart shapes. They are 3mm thick and have a smooth finish to them which makes them ideal for painting. Our heart shapes should be in every crafter's box, they are so very versatile, often being used as hanging heart tags for sayings, slogans or shabby chic plaques. These hearts are frequently used for weddings too, making great favors, save the date and rustic wedding invitations. 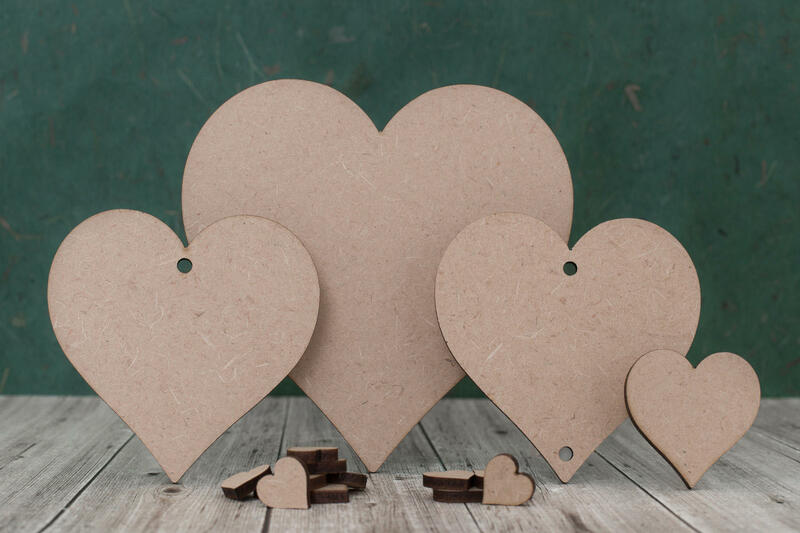 These mdf heart shapes are also perfect for wedding guest drop box projects.